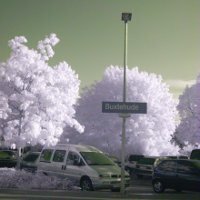 After reading some tutorials on IR conversion online I decided to get a cheap Canon Powershot from ebay and try to convert it to IR. Of course I restricted my search to cameras supported by CHDK, and the first one that came into my price range for a possibly destructive experiment was an A460. None of the tutorials was for this camera, so I decided to write my experiences down. They may also transfer to the similar models A450 and A470, but I can't make any guarantees. All digital cameras are IR-sensitive (point a TV remote at your camera and look what happens when you push a button), but they are not easily used for IR photography, because they contain a filter that removes most of the IR light before it hits the sensor. So to convert it to IR, you have to remove that filter and maybe replace it with another filter that blocks visible light instead. This tutorial, like so many others found on the web, describes how to do this. Please note that this will of course void any warranty on the camera, may as well turn the camara into a useless brick and hurt you severly if you touch the high voltage parts hidden in the camera. Be warned and proceed at your own risk. 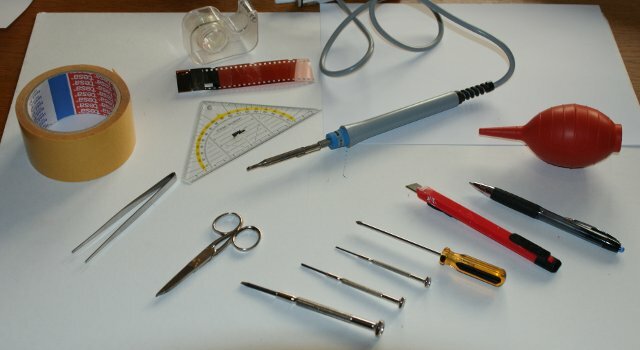 First get some tools: a small philips screwdriver, some small flat screwdrivers, a pair of pincers, double-sided adhesive tape, normal adhesive tape (Tesa or Scotch or however it is called in your locale), a few sheets of paper, a pen, a soldering iron, a pair of scissors, a sharp knife, old negative film, a ruler, something to blow air and another digital camera to take pictures of every step so you can retrace you way. 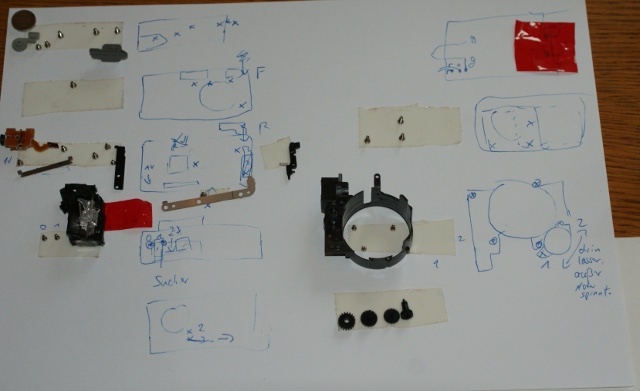 Whenever you remove a tiny part from the camera, fix it with the double sided tape to a piece of paper and draw a small diagram next to it, so you know where each part came from. This is how it looked near the end of the operation. Continue to part 2: Removing the Case and Main Circuit Board.